Right from the start, you know ILLUMINAE is going to be a unique book; the storytelling is done completely through documents like emails, online journals, combat reports, surveillance footage, Im’s, schematics, and the creepy log of an AI. So basically, our two heroes, Kady and Ezra (Kady’s ex), were living pretty boring lives on this mining planet, when suddenly, this company called BeiTech attacks them (the planet, not Kady and Ezra specifically). A few thousand people survive on ships with the help of AIDAN, the AI in charge of the battleship Alexander Ezra is on. Kady is stuck on the Hypatia, a science vessel, while her mother is transferred to the Copernicus, to study a new disease that BeiTech brought with their attack. Suddenly, this disease is more than just a simple problem of quarantine and treat; it’s victims are going insane and brutally murdering everyone in their path. And if that’s not enough, BeiTech is still after them. Even worse, AIDAN, the AI charged with protecting the fleet, begins having less than protective ideas. I won’t lie, I wasn’t sure I was going to like this book. I love this kind of Sci-Fi (it’s very reminiscent plot-wise of shows like Battlestar Galactica and Firefly), but I wasn’t sure I would like the storytelling. It took a little to get into, and the first third or so moved pretty slowly, but once all hell broke loose around the midway point, I couldn’t put it down. Everything became so ridiculously intense. I seriously thought everyone was going to die. Or be eaten by psychotic cannibals. Which I guess is still dying. This book is action packed, which was another fascinating thing because of the style of storytelling. There were times, especially early on that I wasn’t sure what was going on or which characters were involved in the conversations. This is probably due to the style of storytelling, and it’s hard to get a good sense of a character by reading an email. But as the book goes along, you figure out who is important and who maybe isn’t as important. They make it pretty clear. There’s an entire section about AIDAN, the AI, and that is creepy as all get out. It’s like 2001: A Space Odyssey all over again. I mean, seriously. Destroy that thing now. One of the best parts was that I wasn’t expecting the ending. At all. I’ll say the same thing for the twists. There were some fantastic twists that completely blindsided me. This book will certainly keep you guessing and on the edge of your seat up until the very last page. I would love to get my hands on a hard copy of this book, since there are some really interesting and gorgeous illustrated pages that the ebook just doesn’t do justice. They were still super cool to look at, but I can’t wait to see them physically. This book is a fight for survival from page one up until the last chapter. And it’s a bleak, ridiculous, terrifying, thrilling ride. There’s really even a sweet romance that helps give some humanity to the main characters, and is the real connection that you hold onto during all the killing and insanity and hopelessness. If you’re a fan of Sci-Fi, you must get your hands on this book. 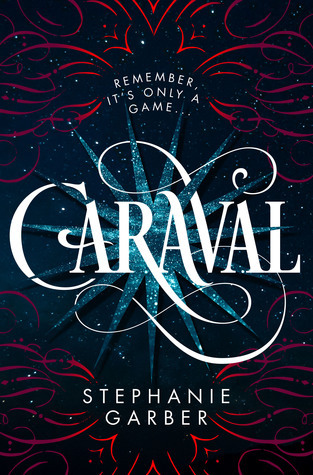 This entry was posted in 4.5 Stars, Book Reviews and tagged ARC, Creepy, Dark, Futuristic, NetGalley, Reading Challenge, Romance, sci-fi, Violent, YA.